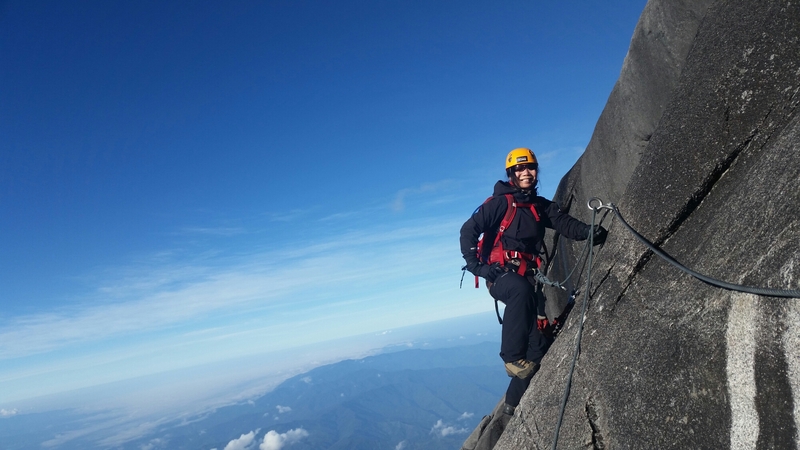 Amazing Borneo: Mt Kinabalu, Day 2, Part 2 – Jet. Set. Jeanne! On the mountain, the summit is only the halfway point, the 13.1 mile marker of a marathon. 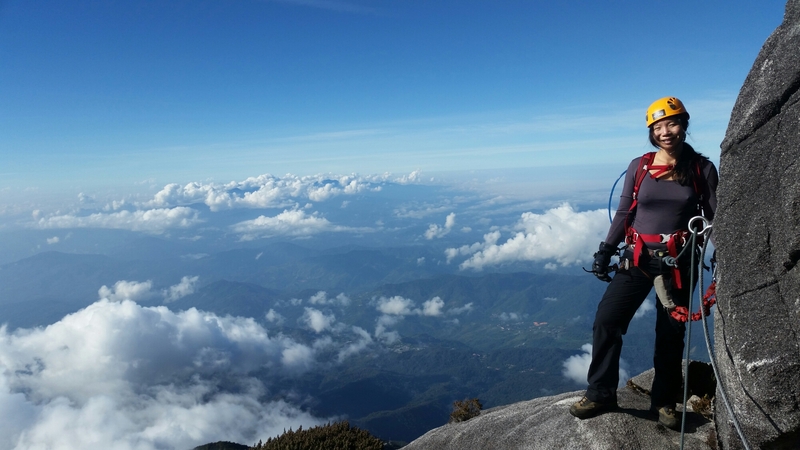 Gravity dictates that what goes up must come down, and mountaineering is like that. After a strenuous climb to the top of Mt. 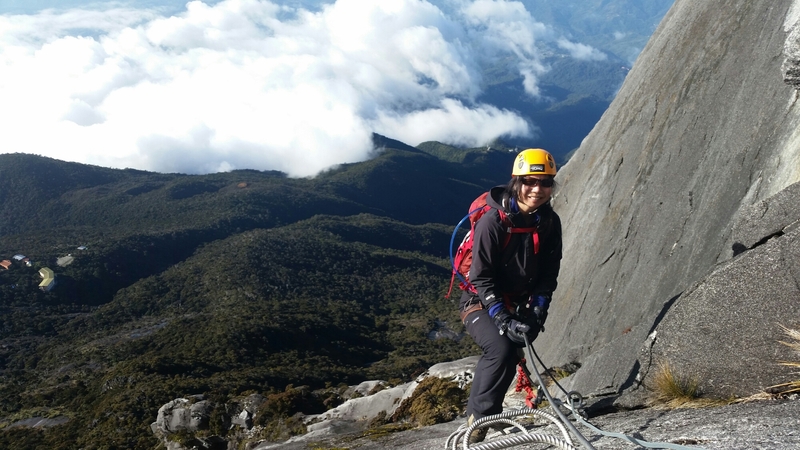 Kinabalu @ 4,095 meters, my legs were ready to descend. 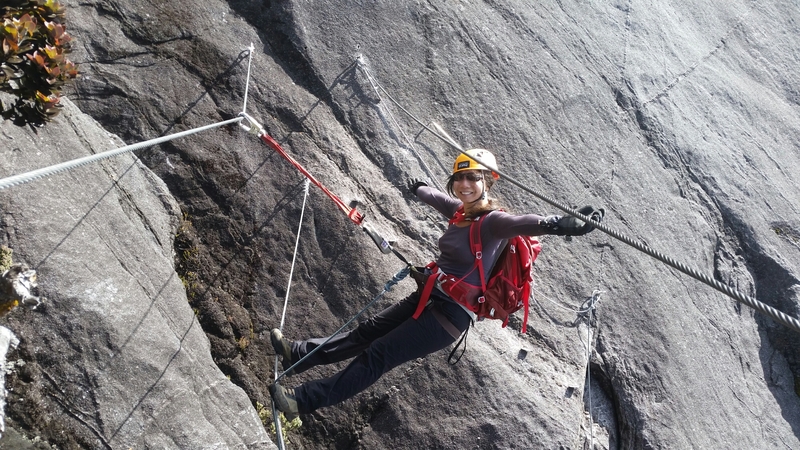 After whizzing through the crux, we passed by a few ‘footbridges,’ where I had a ball testing my balance on the lines and beams – all at high altitude! 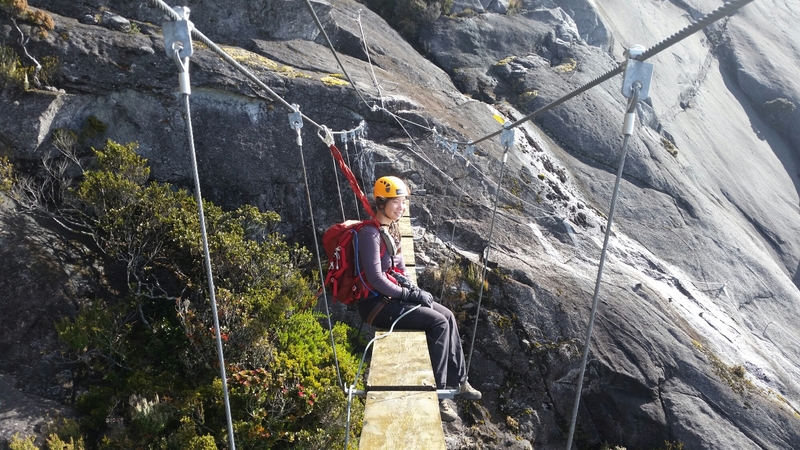 Down the sheer vertical cliffs, over the bridges, and through the jungle, and I’d finally reached Pendant Hut again, where I devoured a hearty breakfast of beans, toast, and peanut butter. Truth be told, the last 6 kilometers of the descent were the most uneventful and excruciatingly difficult. By the time I’d reached the halfway point down the mountain, it felt like my knees, ankles, and quads had given out to the steep, slippery terrain. I’d been caught in a terrential downpour, was completely soaked and miserable, but my spirit hadn’t been broken. I continued straight down the mountain with barely any breaks and with my guide Ronnie’s help, I safely reached Timpohon Gate before dark. 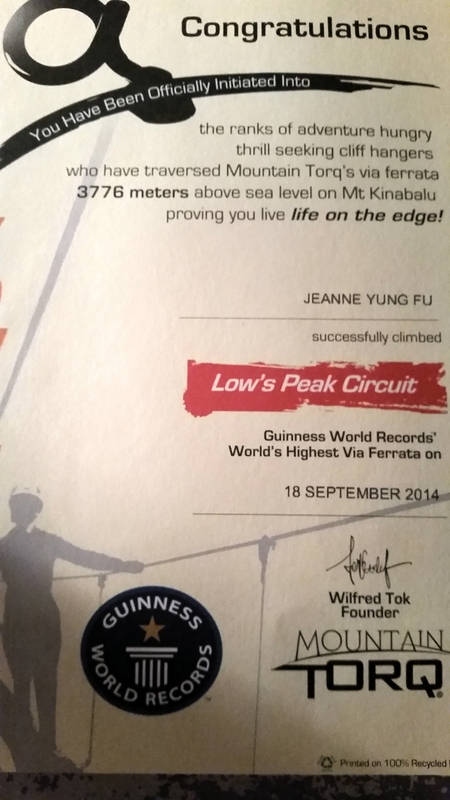 32 hours on the mountain, 4,000 meters elevation gained and lost over 17.4 kilometers, and 1200 meters of via Ferrata climbed @ 3776m asl (the highest in the world!) and all I’ve to show for it is my awesome Amazing Borneo experience.